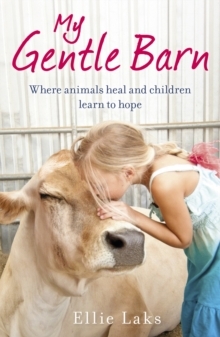 The incredible true story of a place where animals heal and children learn to hope`When I started The Gentle Barn, some viewed it as a hobby or an obsession, some as an act of selfless devotion. To all of those people, I want to say, You don't understand. I'm not saving the animals; they're saving me.' Ellie Laks was just seven years old when she was abused by her childminder. Through the troubled years that followed, animals were her salvation. Through near bankruptcy and a devastating fire, Ellie's dedication has not diminished. But it wasn't until she opened up the Barn to at-risk children and children with special needs that she realised how her animals could teach lessons in forgiveness and healing to others. This is a truly inspirational memoir, full of heartbreaking stories of hope and healing.